Braidio has been recognized as leader in WorkOps and knowledge management categories. Browse the resources below to learn how Braidio provides cutting edge WorkStreams to optimize productivity across your organization. Chris Marsh, Director of Research, Workplace Productivity, at 451 Research highlights a new era of WorkOps driven by organizations’ need of new ways to more fluidly coordinate people, resources, and workflows. Platforms that allow for the construction of work streams that traverse disparate silos is key to success in the digital era. 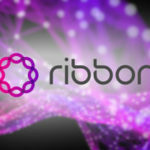 Braidio created WorkStreams which would allow Ribbon to quickly onboard clients, train them, and give them the knowledge they need right at their fingertips. The platform makes investments in learning count by creating successful organizational outcomes across multiple stakeholders and multiple streams of work (Workstreams) to support the speed of customers. In 2013, BBVA Compass tasked Braidio with continued culture change strategy development as well as an online learning process that they’d begun with the introduction of an Instructor-Led Training (ILT) delivered to approximately 2,000 managers. 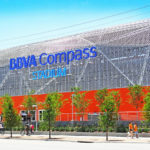 BBVA Compass wanted to continue to drive the message and learning deeper into the organization by rolling it out to its remaining 13,000 employees. 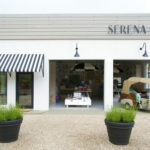 Serena & Lily, a up-and-coming home and lifestyle retail brand, wanted to improve the training of its staff both at headquarters and at its growing retail locations across the country. The company was experiencing tremendous growth and rapidly adding staff across all locations. 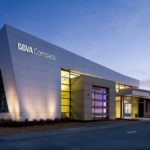 Braidio provided a frictionless lightweight experience for BBVA Compass’ more than 15,000 North American employees. Using an SSO integration seamlessly authenticate users across both Braidio and internal platforms. Braidio unites care providers across a patient’s journey to share key information from one care setting to the next so everyone wins. 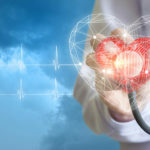 Braidio’s cloud-based social learning platform accessible anytime from any device, whether it be between medical professionals to transfer patient information internally or patients to doctor communicating about needs or progress. Braidio conducted a survey of 1,000 American office workers on the future of the workplace. The survey showed that US office workers prefer collaboration in the office. Four out of five respondents (81 percent) said that peer collaboration helps their productivity, and almost half (48 percent) said that is their preferred method of learning at work. 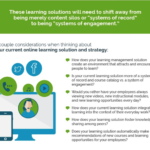 Today, employee learning and knowledge flow needs to be fully integrated with work. Employees, and organizations by default, cannot be successful in the future of work if all information and knowledge is locked in disparate silos. 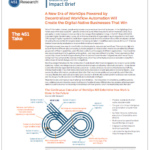 To win in the future, organizations need greater transparency and need to embrace a liquid enterprise mindset. This infographic brings you on a journey of how learning and knowledge management has evolved.